AUSTRALIAN POLICE HAVE said that they are helping Irish authorities to solve the mystery of the girl found on Dublin’s O’Connell Street almost one month ago. Gardaí confirmed that they had identified the girl last night, just hours after a major appeal was launched to find out who she is. The girl has been named in Australian media as 25-year-old Australian national Samantha Azzopardi. An initial line of inquiry had suggested that she could have been from eastern Europe, with one lead proposing that she may have been trafficked into the country, but those suggestions have now been dismissed. A number of media outlets are reporting that the women has up to 40 different aliases. The investigation into the girl’s identity was launched after she was found in a distressed state on O’Connell Street in Dublin on 10 October. More than 2,000 man-hours and over 115 lines of inquiry were pursued as part of the investigation into finding out who she is. The girl was believed to speak limited English and had been unable to talk to investigating officers or healthcare workers. The Australian Federal Police confirmed that it received a request for assistance via Interpol from Irish authorities on Wednesday morning (Tuesday evening Irish-time). “The AFP, in conjunction with appropriate police forces, are assisting Irish authorities with this request,” said a spokesperson for the AFP. “As this matter is ongoing, it is not appropriate for the AFP to comment any further”. The comments were echoed by An Garda Síochána, who issued a brief statement just before 9pm last night to confirm that the girl had been identified. Gardaí said that they are now “following a definite line of inquiry” and will be working closely with Australian police and the HSE “to finalise the matter”. 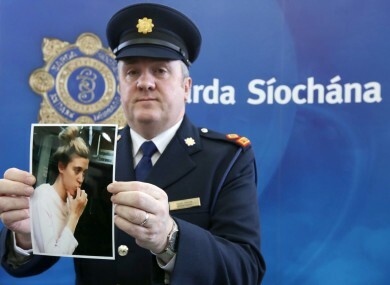 Authorities in Ireland had sought the assistance of Interpol, the Missing Persons Bureau, the Domestic Violence and Sexual Assault Unit and the Garda National Immigration Bureau as part of the case. Gardaí had taken the unprecedented step last week of going to the High Court to seek permission to release a photograph of her as investigations hit a dead end. The photograph was released yesterday morning. Email “The mystery of the girl found on O'Connell Street: what we know”. Feedback on “The mystery of the girl found on O'Connell Street: what we know”.